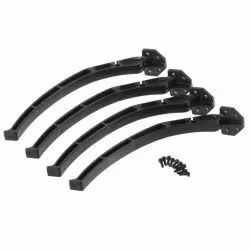 These plastic landing gear will help to save your quadcopter from crash. It is extremely light weight and strong. It is made up of ABS plastic. Its easy fitting to your frame make it user-friendly. It comes with mounting screws. 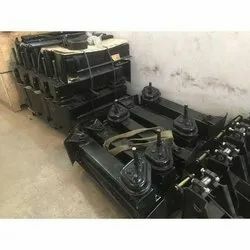 Application of these landing gears is not only to save from crash but also to connect gimbal, dropping mechanism or similar accessories. This system is used to understand the working of Aircraft hydraulic landing gear system. It helps to study all the components of hydraulic system and landing gear system. - We produce landing gear components for commercial jets involving complex prismatic shapes and 3D contours with high degrees of positional, dimensional tolerances coupled with stringent aesthetic and surface finish requirements. - Our precision machining facilities are equipped with multifunctional high end turn-mill 5 axis machines. York Transport Equipment (I) Pvt. Ltd. Nose landing gear and main landing gear for helicopter Cassa C 212 best over for this month. Relying on our expertise in this domain, we are into offering Landing Gear. these shock absorbing high quality aluminium arms are manufactured with latest cnc machines, has a bronze bush insert which gives smooth and precise movement and also longer life. The bent portion of this arm is made of die cast. - Wider Square Sections of 130mm. - Full Flange Reinforcement Standard Mounting Plate. - 480mm or 430mm lift. - Gearbox with Low Temperature Premium Chassis Lube Rated for Service from -30c to 120c. York Transport Equipment (india) Pvt Ltd.
Eaton Power Quality Pvt. Ltd.
Our High-Velocity Oxygen Fuel (HVOF) coating process, in combination with specifically-developed tungsten carbide materials, provide durable wear and corrosion resistance. This considerably increases takeoff and landing cycles of the hydraulic cylinders and seals of landing gears. He Main Landing Gear Is Aimed Essentially At Allowing A Safe Landing Of The Aircraft.